In Today's Catholic World carries the approbation in writing of the (True) Petrine Hierarchy in exile i.e., connected with Pope Gregory XVII. It faithfully adheres to the rules for Catholic Journals mandated by Leo XIII in the Apostolic Constitution Officiorum ac Munerum, January 25, 1897 - so heavily re-stressed by Pius X in Pascendi Dominici Gregis, September 8, 1907. On the day of the 9-11 attacks, former Israeli Prime Minister Benjamin Netanyahu was asked what the attacks would mean for US-Israeli relations. His quick reply was: "It's very good……. Well, it's not good, but it will generate immediate sympathy (for Israel)"
--US official quoted in Carl Cameron's Fox News report (that was later erased from the Fox News website) on the Israeli spy ring and its connections to 9-11. 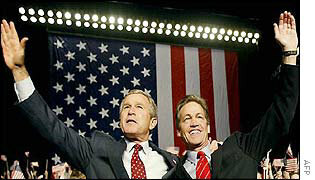 Picture of Two of the "Five Dancing Israelies"
Read about the documented FBI arrests of "Israeli" Mossad Agents in New Jersey, at the time of 9/11 ...their release... and the subsequent cover-up by the US Government and the American media, regarding this shocking occurrence by clicking here. © In Today's Catholic World (TCW) 2005-2015 All rights reserved. "...the world is governed by very different personages from what is imagined by those who are not behind the scenes..."
THE FIRST HIGH RANKING U.S. OFFICIAL ("SENATOR" NORMAN COLEMAN, MN) BREAKS SILENCE ON 9/11 "ATTACK"? [Disclaimer regarding the use of the word "Senator" in conjunction to Norman Coleman in this article which provides insights into the real story behind 9/11. "Senator" Norman Coleman is a Jew, and therefore by immutable Roman Catholic Church teaching is ineligible to lawfully exercise public office in any State/Country, as was *decreed against all Jews for all time by Christ's Vicar on Earth, His Holiness, Pope Eugenius IV, in 1442 A.D.
(Minneapolis) -July 23- The recent public awareness of information which includes *films with solid research concerning the 9/11 "bombings" have made many people look more into what they in the past would instantly discount as "just another conspiracy theory". *One of the best examples (films) which sheds a glaring light, on the inconsistencies of the official 9/11 story, which derived its evidence from news footage, scientific fact, and most importantly: Americans who suffered through that tragic day, can be viewed by clicking this link here. (Note: this film can be viewed with Windows Media Player. There is some annoying rap "music" at times in the background which TCW thinks inappropriate - the content (documented scientific evidence) is very excellent though. This same 9/11 film/video *producer has done more research on this important subject... there are some swear words in the other parts of *his 9/11 videos (not this clip/section) that TCW hopes will be removed promptly). 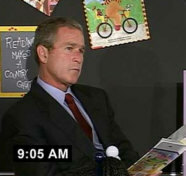 The Editor of TCW himself did not begin to question the "official story" of September 11, 2001, until only quite recently. In fact, when the event took place in 2001 A.D., he was prepared to go and fight if needed, and even slapped a red-white and blue sticker on the back of his car. 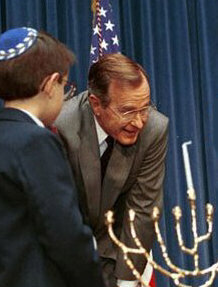 President Bush was in Florida meeting with a group of public school children the morning of 09/11/01. He continued his "meeting" which included him distractedly paging through a nursery rhyme book while the worst attack on US soil in History, was well underway. However, beginning in the spring of 2004, after much study, and research on what really runs the political engines and major events in today's world,(Judeo-Masonry) this "fringe" idea of a governmental well-planned and perfectly pulled off "inside job" is not outlandish - and seems even more plausible than the "safer" story generated from Masonic Washington D.C., (even if others care not to hear or look at the current evidence and that which will continue to be forthcoming). On June 27, 2006 A.D., myself and my wife were returning from a trip to New York City, where I went for my business. On that trip, we visited the site of the September 11th, 2001 tragic incident which is now known as "ground zero". I must say, I love my native land and logically, am both sickened and deeply saddened by the unjust loss of innocent peoples lives that horrific day. I must also say that when I walked up to, and looked into the area where the World Trade Centers buildings once stood, I was for the most part not moved at all (nor was my wife- as she would later tell me). Footage of Possible *Missile Exiting the World Trade Center Building September 11, 2001 A.D.
and the *missile to damage this building, and the similar (inaudible) that damaged the World Trade Center." There was something "not right", something "out of place". I have seen some of the recent evidence which includes video, pictures, etc., and as noted above I have studied the craftiness of the Enemies of Order - the stealthy/satanic Freemasons. (See my website DestroyFreemasonry.com) The area of the alleged attack seemed much smaller than I expected. What also surprised me, was the reality of how precise these planes (commercial?) must have maneuvered to systematically strike their targets right in the heart of Manhattan... with the usury capital of the world, Wall Street, a block away. Again, there was a hollow ("something fishy in the air" feeling at "ground zero"- a real sense of murky injustice). I was concerned that possibly, I was being heartless. I then reminded myself of the innocent souls who ready or not had to face their Maker on September 11th, which made me quickly reflect again that a criminal sinful action had taken place (but by who?). Those Americans, and others blood cries for truth and proper justice. I then again looked at the logistics of this exact compact area - the thought of a hidden controller with a Nintendo type remote joystick and detonation button came to mind - this case is not closed. 9/11 - A Criminal Action- But By Who? Bush is a *Skull and Bones Mason and Coleman is a member of the Ancient Landmark Lodge No. 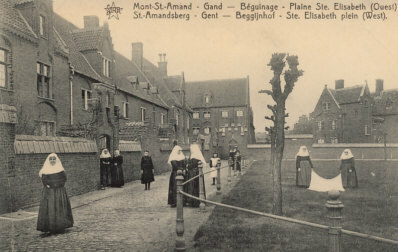 5 A.F.& A.M., St. Paul. *What is Skull and Bones Freemasonry? The following overview is compiled from various sources: More than a century ago, Skull and Bones was a secret society in Germany , where it was also known, not always in jest, as the "Brotherhood of Death." 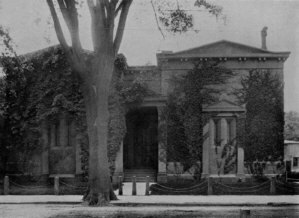 The American chapter of the Society was founded at Yale University in 1833, and its members are known as Bonesmen. Today, Bonesmen number less than 1,000, which is quite fantastic when one considers how effectively they manipulate and influence world affairs. Bonesmen believe that the United States should be the first among the "equals" in the New World Order. To achieve this, the Order believes in "constructive chaos." And what is constructive chaos? It is simply keeping true intentions secret by constantly sending out mixed signals on all critical policy issues, and keeping sacrosanct their self-created vision of New World warriors. Bonesmen have an affinity for the Heglian theory. This is a precept in which the State is absolute and individuals are granted their freedom based on their obedience to the State, i.e. the New World Order. So, Skull and Bones is not just a bunch of "Yalies" getting their kicks with unique handshakes and secret code words. Bones is a unique group of young men from affluent, well-established, Northeastern families; literally a chosen elite of intellectually superior Yale students, who are educated and prepared for positions of influence and power, particularly in politics and government. Inside their tomb, Bonesman refer to outsiders as "barbarians." Each year at Yale, 15 juniors are chosen by seniors for Skull and Bones initiation, which is performed in occult surroundings with bizarre rituals, where the initiates are indoctrinated and sworn to absolute and binding secrecy. This illustrates the exclusivity and esoteric... the cultic rites of this totally condemned by Catholic Teaching, secret society. In Alexandra Robbins book: *Secrets of the Tomb: Skull and Bones, the Ivy League, and the Hidden Paths of Power she (Robbins) describes a social club with arcane rules, a hoard of relics ranging from Hitler’s silver collection to the skull of the Indian chief Geronimo - plus a resident prostitute. She says initiation rites include a mud-wrestling bout, receiving a beating and the recitation by a new member of his sexual history - delivered while he lies naked in a coffin. Elevation of a Bonesman creates opportunities for his fellows, and Robbins says that President Bush has appointed 10 members to his administration, including the head of the Securities and Exchange Commission, Bill Donaldson). The Enemies of Order Strategy: "Managed Conflict"
And how does this Freemasonic sect push forward their pre-planned New World Order agenda ... how does it work? By using "managed conflict" or "crisis management" a crisis or problem is produced. Then, the crisis is "managed" and the problem is "solved" with an outcome that is invariably favorable to the goals and agendas of the Judeo-Masonic Global Power Elite. "We were operating out of there when we were told that the World Trade Center was gonna collapse in about ten to fifteen minutes." -Words of New York Mayor Rudolph Giuliani in a live "at the scene" aired telephone interview with ABC's Peter Jennings on 09/11/01. Mayor Giuliani admits in a live interview with Peter Jennings that he got warning that the South Tower was about to collapse. Why didn't the firemen who were rushing into the building get the same warning? Why didn't the brave *firemen and rescue workers who were rushing into the building get the same warning? Even if the warning was only communicated minutes before the collapse, countless lives could have been saved. Consider the amount of people on the lower floors, in the lobby and immediately outside that could have rushed to safety in those few minutes. Eyewitness accounts (on right) from these experienced NYC Fireman who were almost killed when the South WTC Tower "Collapsed" Fireman2: We made it outside, we made it about a block. Fireman1: We made it at least 2 blocks. Fireman1: Floor by floor it started poppin' out ..
Fireman2: It was as if as if they had detonated, det.. 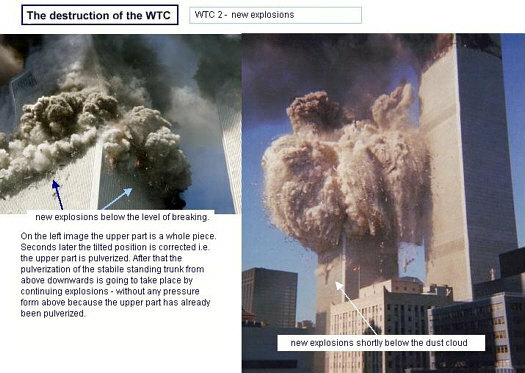 The company named Controlled Demolition Inc., the market leader in the blow up and removal of multi-floor buildings, was chosen to remove the rubble from the WTC buildings. (Such as the twisted steel columns at the base of the structures) This carefully collected material (remember the police guards always surrounding the site for months?) was then ordered to be sent promptly to China where it was melted. 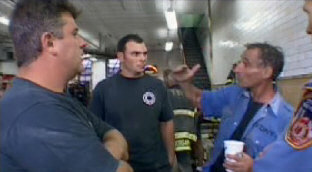 View the video interview of NYC Fireman Joe Casaliggi (Engine 7) - who describes the "remains" of the contents of the Twin Towers. poulverized concrete and asbestos dust, arose and settled - blanketing NYC on 09/11/01 like a Winter snow storm. and the NYFD decided to 'pull' WTC 7 on the day of the attack. The word 'pull' is industry jargon for taking a building down with explosives. (link to view and HEAR) the WTC 7 building being 'pulled' (professionally demolished) on September 11th, 2001. *"I remember getting a call from the, er, fire department commander, telling me that they were not sure they were gonna be able to contain the fire, and I said, 'We've had such terrible loss of life, maybe the smartest thing to do is pull it.' And they made that decision to pull and we watched the building collapse." This means that in direct contradiction to the official FEMA report, the goal of which was to find out why the building collapsed, that those in *authority (State/ Federal? 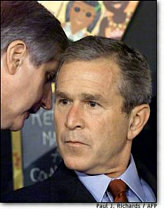 *Government) had in fact demolished the building on the day of 9/11. How did they manage to rig explosives in a matter of hours that would successfully and safely take down a 47 story building in a built-up and already chaotic area? Why did building 7 collapse? It wasn't even hit by anything save a small amount of debris. It was a whole block away from the burning Twin Towers. And yet it collapsed in exactly the same way - a perfect implosion - on the day of 9/11. 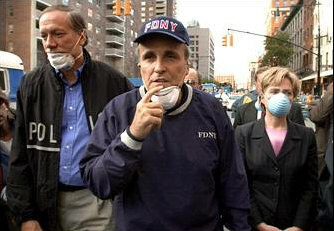 Before either of the Twin Towers collapsed, Mayor Rudolph Giuliani and his associates were told to leave the headquarters they had set up within Building 7. "We were operating out of there (WTC 7) when we were told that the World Trade Center was gonna collapse," Rudolph Giuliani told Peter Jennings of ABC News that morning, "and it (the Twin Towers) did collapse before we could get out of the building (WTC 7)." 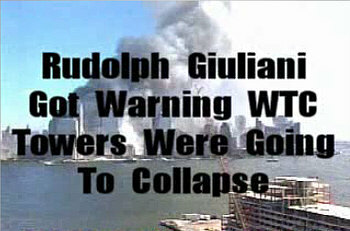 Despite this, Giuliani "fled" WTC 7 at least eight hours before it "collapsed" (was "pulled"). How did he know that the Twin Towers were going to collapse if it was such an unprecedented occurence? Why didn't the firefighters on the ground (of the Twin Towers) get the same warning? In February of 2002 Silverstein Properties won $861 million from Industrial Risk Insurers to rebuild on the site of WTC 7. Silverstein Properties' estimated investment in WTC Building 7 was $386 million. So: This building's collapse resulted in a profit of about $500 million! The Mason's creed is: *Ordo Ab Chao: "Order Out Of Chaos". Their age-old occult goal is to disrupt- overthrow normal Catholic ordered society and replace it with their licentious, materialistic, and godless New World Order. Watch the Jewish contrivor George Bush Senior (a "Bonesman" himself) unmistakably proclaim the Masonic Objective of manufacturing (*"out of these troubled times") a New World Order: by clicking here. Tragically, as of lately - historically speaking (i.e., since about 1789 A.D. with the heinous French Revolution with a noted, unprecedented and ferocious intensity in the last 50 years) they (Freemasons) have had a smashing success forwarding their evil agenda. All U.S. Taxpaying Citizens are a Threat! There is much to study on this subject. It is not the scope of this particular article to go into the intricacies of the empire of Satan on earth- Judeo-Masonry. Yet as a bit more of a thought provoker though, as to what very well may behind the 9/11 massacre and their reason for it, think of what President Bush a (Skull and Bones Freemason) kept saying in the wake of the "Attack": "They (the Arabs 3,000 miles away) are trying to take away our freedom ... They are trying to take away our freedom!" (i.e. our normal freedom of movement (without having surveillance cameras on us), to travel aboard a plane (without being publically frisked in the terminal), to talk on our cell phones about politics etc., (without being electronically eavesdropped on by Verizon- in conjunction with the Department of Homeland "Security"). Since Freemasonry is the opposite of order ... the opposite of good, hasn't Bush's post 9/11 Patriot Act-ions shown themselves to be just the opposite of protecting our "freedom" (privacy)? Is it far fetched to think that all Americans will one day be required to have a little mandatory trackable chip (mark) to once and for all secure "our" "freedom"?? *"Every time we do something you tell me America will do this and will do that . . . I want to tell you something very clear: Don't worry about American pressure on Israel. 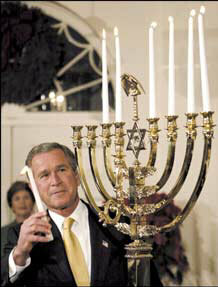 We, the Jewish people, control America, and the Americans know it." - "Israeli" Prime Minister, Ariel Sharon, October 3, 2001, to Shimon Peres, as reported on Kol Yisrael radio. "The Jewish connection with modern Freemasonry is an established fact everywhere manifested in its history. The Jewish formulas employed by Freemasonry, the Jewish traditions which run through its ceremonial, point to a Jewish origin, or to the work of Jewish contrivers. ...Who knows but behind the Atheism and desire of gain which impels them to urge on "Christians" to persecute the Church and destroy it, there lies a hidden hope to reconstruct their Temple, and in the darkest depths of secret society plotting there lurks a deeper society still which looks to a return to the land of Judah and to the rebuilding of the Temple of Jerusalem?" -Mgr. 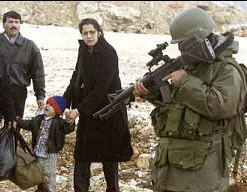 Dillon, The War of Antichrist With The Church And Christian Civilization, 1885 A.D.
First Zionist Congress in 1897." (Cavendish, p. 1300) It has no connection to Judaism practiced before Christ. (L/R) America: the land ruled by the Jew and Freemason; Lebanon: traditionally the home to many Maronite Catholics, is now in Target. There were reports earlier this week on Monday (07/17/06) that Nazareth (where Jesus, Mary and Joseph, The Most Holy Family, lived together for close to 30 years) was being bombed by the "Israelis" - the "powerful force for freedom and justice around the globe" that Miss Rice and her Boss gladly work overtime for. In continuing with the focus of this article: I flew into the Minneapolis/St. Paul Airport from NY. I was waiting for my luggage when my wife said, "Hey, there is Senator Coleman." I looked over, and two baggage terminals away was Minnesota's United States Senator Norm Coleman. I had spoken with Senator Coleman on two occasions in the past when he was the Mayor of St. Paul, and I had worked in a minimal amount as a volunteer on his (Coleman's) campaign for Governor of Minnesota (for the sole reason of the Pro-Life issue, which I found was just one of many issues at campaign H.Q. 's) against Skip Humphrey, which unexpectedly saw the advent of a third party candidate 'wrestle' his way into the Gubernatorial race- and win: Jesse Ventura. Mr. Hobson owns a successful commerce business and is also the Editor of In Today's Catholic World. True (much persecuted) Catholic Church. As noted, after much studying, I now see the evil forces behind what changes the world. (I turned in my Republican card quite a while ago) - I am a Monarchist. I thought I would just wait for my bag to come down the chute, and get in my car with my wife and go home. Yet, I reflected, here is a person who does not have the Catholic Faith, "I will go say hello." The Crafty Always Smiling Republican Senator Norm Coleman of Minnesota arm-in-arm with a Talmudic Rabbi. Coleman, a perfidious Jewish Freemason, hails originally from New York City. He launched his political "career"
as a liberal Democrat, and is currently a rising (dark) star of the godless New World Order Global Regime. My wife and others have more than once stated I have an excellent memory... here is the following conversation between myself, David Hobson, Editor of In Today's Catholic World and U.S. Senator Norm Coleman at the Minneapolis/St. Paul Airport on the evening of June 27, 2006 A.D.
David Hobson: "Hello. Mr. Coleman how are you doing?" Coleman: "Hello. Yeah, fine thanks." Hobson: "My wife and I just got back from a trip to New York City." Coleman: "What were you doing in New York?" Hobson: "I was visiting a priest and had a meeting for my commerce business." Hobson: "Well, first of all there are many people who talk about... get into- conspiracy theory type things, but this does not seem like one here (I said this to disarm him from saying that what I was going say to him is a conspiracy theory). When I was in New York City I had a chance to go down to the site of 9/11 'Ground Zero' and again, it is a terrible thing that innocent people were killed, and that was.. felt sad, those innocent lives... but something was wrong, something did not seem right there." Coleman: "What do you mean?" Hobson: "You know there is some evidence and stuff that has come out. I have a contact out East who is very close with the Washington scene and she told me that 64% of the people of New York City do not believe the official story about 9/11." Coleman: "No, people get into, uh, you don't want to get into conspiracy theories." (Senator Coleman sort of muttered, stumbled on these words as he may have realized I had mentioned the word "conspiracy theory" moments before, as I had thought and was correct that he would try to use this sophism as an 'easy out'.) His previous silence could be read as that he did not want to give out any information on this subject. Hobson: "Again, I was down there- it seemed something was wrong,- the people in New York that I spoke with said the same." Coleman: "My son is in New York." Hobson: "What is he doing there, going to school?" Hobson: "Yeah, people are talking about this, there is evidence that says something could have happened from the government." Coleman: "No, (small chuckle) we are still dealing with those people (the Arab Terrorists) right now." Senator Coleman was calm when he said this, yet very unconvincing, he was giving the official party line ('we are dealing with those people' i.e. fighting the war against terrorism) - sound-byte response. At this point I realized this (the 9/11 subject) was not going further. I thought I would mention a speck about the Faith. Coleman: "Yeah, Monsignor, he's great!" (Note: this exact sound-byte "Monsignor, he's great!" was said by Mayor Coleman to me in 1997; - mayor Coleman politely declined via his secretary, in writing, my offer for him to attend "Mass"). Hobson: "Well, there are some major things happening in the Catholic Church, people who are supposedly saying things -who are *not really Catholics-, there have been a lot of things happening that most people do not know about, I know people that do know about this, it's a big thing." Hobson: "Again, on the 9/11- thing, with all the evidence- (I took a small breath and spoke the next words slow, loud, and clear so there could be no mistake at all he heard me) and, you know the power of Judeo-Masonry." (i.e. to pull off a perfect 'inside job'- and bring chaos... to destroy ordered society) After saying this I immediately was silent to see what his response would be. I was sure that he had never been asked this question for a myriad of reasons. He did not expect it. Senator Coleman is a Jew, and, as I have documented after very recent research, is also a high-ranking Freemason. Coleman: Now, for the first time, establishing real eye contact, in a louder voice than before, and in an affirming tone replied: "I hear you, a huh, yeah, I hear you." (Senator Coleman, who I am sure had never been directly asked this [concerning the not known by the populace power of Judeo-Masonry to do grievous, unthinkable dark deeds] by saying "I hear you"-twice) was revealing a glimpse of something more than the official story of the Arabs and Al Queda cells (the tired sound-byte he had given me just minutes before). His unmistakable quick and direct response that he repeated, as I remained silent, clearly showed that secretive Judeo-Masonry was involved in 9/11. Bush, an admitted member of the "Brotherhood of Death"
[Skull and Bones] Cult, admires Coleman's (who 99.9% of the time is pictured with a pasted ear-to-ear grin) cold calculating *nihilism. 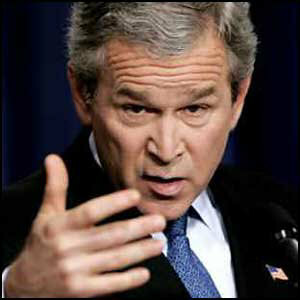 "I appreciate the fact that he's a cold-eyed realist," Bush said of Coleman. "I appreciate the fact that he sees the world the way it is - not the way we hope it would be." -President Bush, November 4, 2002 St. Paul, MN. I looked back at Senator Coleman directly, both shocked and stunned at his clear admission (but I tried not to show it) - not knowing if he would become irate, as if he were unexpectedly exposed or something... I turned around and walked back toward my baggage carousel, and after three steps let out an audible to myself only "Wow!" I reflected, he (Coleman) just admitted the masons (Judeo-Masonry) could have -or did pull this (9/11) off! Masons are sworn to secrecy. How did he admit this... 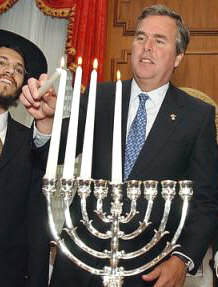 He's a Jew too. I need to tell my wife this, and then report it to the public, which I, David Hobson, the Editor of In Today's Catholic World have now done, for the betterment of society and for those innocent Americans and visitors to our country who were brutally killed on September 11, 2001 A.D., and whose blood demands that the full truth be brought to light on the organized sinister dark powers who were behind the 9/11 massacre, and have these mass murderers brought to justice! Let us, therefore, expose Freemasonry as the enemy of God, of the Church and of our Motherland." Additional information posted by TCW on 07/31/06: Read about the documented FBI arrests of "Israeli" *Mossad Agents in New Jersey, at the time of 9/11 ...their release... and the subsequent cover-up by the US Government and the American media, regarding this shocking occurrence. "The *men set up cameras by the Hudson River and trained them on the Twin Towers. Police received several calls from angry New Jersey residents claiming "middle-eastern" men with a white van were videotaping the disaster with shouts of joy and mockery." To read this important news story titled: The Five Dancing "Israelis" Arrested On 9-11 (Click here). To date, $915.1 billion dollars have been allocated to the wars in Iraq and Afghanistan. Note: September 30, 2009, is the end of the federal government's 2009FY (Fiscal Year). The FY2010 budget shows a $130 billion request for more war spending. This would bring total war spending in Iraq and Afghanistan to more than $1 trillion. resting at "Restrepo" bunker, named after a soldier from his platoon who was recently killed. Pray For True Papal Restoration! Important Notice: Finally A Crack in the Armor? A Skull and Bones MasonThe Editor of In Today's Catholic World (TCW) flew in from an important meeting out West on Saturday night (07/15). TCW's next post will be on Friday, July 21st (update note the post will be July 23nd). It will concern information gathered from the Editor's recent trip to New York City and subsequent impromptu interview with a current US "Senator" who gave a shocking admission regarding the supposed World Trade Centers 9/11 attack. TCW's news post may be the first example in print, of a high ranking US official (a "Senator") giving more insight/information than the much questioned "official" story. Be sure to check back! At His coming, all men are to arise with their own bodies; and they are to give an account of their own deeds. Those who have done good deeds will go into eternal life; those who have done evil will go into the everlasting fire. Flash Back! I unfondly remember being a student at a novus ordo "Catholic" college in the late 80's and having a well-paid 'professor' sarcastically state to the whole class of men and women... that, "believe it or not, but the Church used to have lists of sins that people would read before they went to go to tell their sins to a priest"... this monstrous "teacher" thought he was so clever, yet was truly dumber than the meanest mule. As God does work good out of evil, in an act of reparation for this blasphemy against the Holy Sacrament of Penance (Confession) by this faithless fiend ("prof"), the Editor of TCW is posting a True Catholic Timeless *Examination of Conscience that contains a list of sins in order that a Catholic who is striving for virtue and perfection can look within themselves to correct what they have done wrong and also help them to avoid the many pitfalls in this valley of tears; so as to, with God's grace, and their good effort, they can avoid eternal Hell and make it safely to every Catholic's souls Ultimate Goal: (Heaven). if they perform this exercise daily for a month (S. P. Ap., Nov. 16, 1938)." 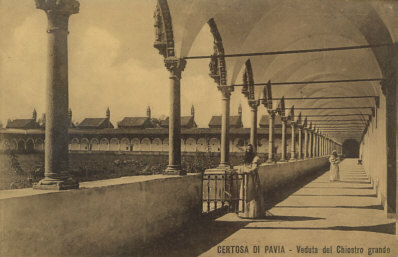 The Raccolta, 1957. "Look to the sins of thy youth, and be covered with shame. Remember the sins of manhood and weep. Note: A Catholic is obliged to attend Holy Mass each Sunday and Holyday of Obligation. This is not possible for the majority of true Catholics during this prophesied (by Our Lady of La Salette) "Eclipse of the Church". See imperative information on how to fulfill your Mass obligation and about valid Confessions here. Have you doubted in matters of faith? Consulted fortune-tellers? Believed in dreams? Made use of superstitious practices? Gone to places of false worship and taken an active part in the religious services of a false church? Belonged to Masons, Communists, of some other forbidden society? Read anti-Catholic books or papers? Neglected religious instruction? Omitted religious duties through fear or ridicule? Murmured against God, or despaired of His mercy? Have you rashly presumed on His goodness in committing sin? Did you pray in time of temptation? For your family? Have you neglected your daily prayers? Have you recited them carelessly, without devotion, thoughtlessly? Have you missed spending a reasonable amount of time in thanksgiving after Holy Communion? Have you been irreverent toward God, sacred persons, places or things? Have you associated with people who might have a bad influence upon your life? Have you refused to place signs of faith in your home, such as a crucifix, picture of the Blessed Mother or the saints? Have you taken the name of God in vain? Laughed at the profane use of the name of God or irreverent speech by others? Given bad example to children by such speech in their presence, or by neglecting to correct a child when irreverent or profane language was used? Spoken disrespectfully of the saints or holy things? Allowed others in your household to do the same? Sworn falsely, that is, called upon God to witness the truth of what you were saying, when you were in reality telling a lie? Sworn rashly, or in slight and trivial matters? Have you cursed persons, animals, or things? Have you blasphemed, that is, used insulting language expressing contempt for God, His saints or sacred things? Have you caused others to do so? Have you criticized God's mercy or justice, or murmured against His providence? Have you assisted at Mass on Sundays and Holydays? Have you been late for Mass? Behaved properly in Church? Have you performed or commanded unnecessary servile work, bought or sold without necessity, or in any other way - gambling, drinking - profaned these holy days? Have you shown due honor, love, gratitude and obedience to your parents? Have you shown due honor and obedience to your pastors and other lawful superiors? Have you asked their pardon when you hurt them? Have you been disrespectful to your parents by speaking angrily to them, saying unkind, harsh words to them and about them, or by being ashamed of them? If you are a parent, have you shown this lack of honor, love and gratitude to your parents in the presence of your children? Have you criticized them and rejected some of their orders? Have you corrected and punished your children for serious transgressions, or forbidden them to enter serious occasions of sin? Have you cooperated with teachers in the education of your children? Have you refused to send your children to Catholic school when you could have done so and had no permission from bishop or pastor to do otherwise? If there is no Catholic school in your vicinity, have you sent your children to catechism faithfully? Have you taken an interest in their catechism lessons? Have you cooperated with the Pastor and the Sisters in the projects sponsored by them to stimulate the children's interest in the faith? Have you trained and corrected your children in regard to chastity? 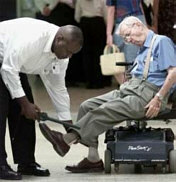 Have you been disrespectful to aged persons? Have you had proper care for children and those dependent on you - both in physical and religious matters? Above all, have you given them a good example? If you are a child, have you refused to speak to your father or mother? Have you resented them? Have you disobeyed your parents when they gave you orders to avoid bad companions or dangerous occasions to sin? Have you obeyed the rules they made concerning persons to be brought into the house, the hours to be kept at night, or the conduct within the home? When earning money, while living at home or while still subject to your parents, have you refused them part of your earnings when they needed it or demanded it? As a citizen, have you obeyed laws of the city and country made for the safety and well-being of all? 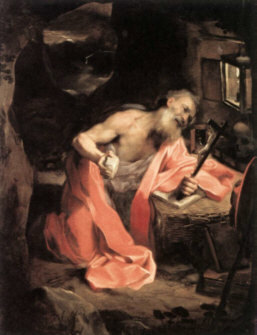 The fifth commandment forbids: Murder, suicide, criminal neglect that might cause serious injury or death to another, serious anger and hatred, abortion, mercy killing, the use of narcotics, sterilization, drunkenness, help extended to another to commit a mortal sin, fighting, anger, hatred and revenge. Have you procured, desired, or hastened the death of any one? Have you been guilty of anger, hatred, quarreling, revenge? Used provoking language, insulting words, ridicule? Refused to speak to others? Caused enmities? Given scandal? Did you eat or drink too much? Have you been unkind, irritable, impatient? Have you provoked others to anger offended them, hurt them by anger or impatience? Have you entertained thoughts of jealousy, revenge, aversion, resentment or contempt of others? Have you kept company with those who drink to excess? Have you encouraged them to drink? Have you jested about their drunkenness? Have you neglected your health or endangered your life? Have you neglected to take care of the health of your children or those subject to you? Have you endangered the life of others by driving an automobile while intoxicated or caused real danger to the safety of others in any other way? These two commandments demand purity and modesty in our life: in our thoughts, words, and actions, whether alone or with others. In general, these commandments forbid: adultery, fornication, self-abuse, indecent dressing, necking, impure kisses, impure dancing, impure talk, sins against nature, birth control, impure touches, petting, looking at impure pictures, dances, floor shows, movies, or reading impure books or magazines. Have you been guilty of impure or immodest thoughts, words or actions - alone or with others? Have you spoken words or phrases of double meaning? Have you told suggestive stories? Have you encouraged others to do so? Have you taught others to do this? Have you avoided occasions of sin in this matter? Have you guarded your sight, or allowed your eyes to wander in curiosity over obviously dangerous objects? Have you put yourself in an occasion of sin by reading bad books, looking at indecent pictures, keeping bad company, attending immoral performances, viewing indecent movies, television programs or internet sites, singing lewd songs, and the like? Have you distributed obscene books or magazines? Have you informed others of places of distribution? Have you encouraged others to read them? Have you desired to do impure things? Have you been an occasion of sin to others, by your conversation, dress, appearance, or actions? Have you touched yourself impurely? If you are married, have you committed sins of impurity with another married or single person? Taken part in prolonged kisses and embraces with others beside your partner in marriage? Have you used contraceptive means in performing marriage duties? Have you, without good reason, refused or neglected to render the marriage obligation when seriously asked? These commandments forbid: robbery and burglary, graft, bribes, stealing and damaging the property of others. These commandments forbid not merely stealing but every type of dishonest dealing, such as, cheating, unjust keeping of what belongs to others, unjust damage to property of others, graft on the part of public officials. These commandments are also violated by merchants who use false weights, measures, who make exorbitant profits or lie about the essential qualities of their goods; by those who obtain money from others by persuading them to make unsound investments with the assurance of gain; by those who knowingly pass counterfeit money, or take undue advantage of the ignorance or necessity of another; by employers who defraud laborers; by employees who waste time during working hours, perform careless work or neglect to take reasonable care of the property of their employers; by employers who charge customers exorbitant prices; by those who do not return what they borrowed; by running up a charge account and not paying it; not returning found articles; selling articles with hidden defects for the usual price; not paying one's bills; by depriving one's family of necessities by gambling, drinking or foolish spending. Have you stolen or retained ill-gotten goods? Damaged or wasted the property of others? Accepted bribes? Neglected to make restitution, or to help the poor? Have you desired the goods of others? Squandered their goods? As a parent, have you taught your children a strict sense of honesty and justice, punishing any slight theft or deceit? Have you sinned in any way mentioned above? This commandment forbids: lies, calumny, detraction, perjury, unjust and unnecessary criticism, fault-finding, gossip, backbiting, insults, rash judgment, the telling of secrets one is bound to keep, cheating, tale-bearing. Have you borne false witness for or against another? Been guilty of detraction, flattery, hypocrisy, lying, rash judgment? Have you entertained unkind thoughts of others? Have you harbored suspicions, nursed resentments, refused to forgive others when they expressed their contrition? Have you spread unkind remarks others make to you? Do you discuss the faults of your parents, wife, husband, children with others who have no business knowing anything about them? At home are you given to nagging, complaining, arguing, refusing to talk, calling names, petty quarreling? Have you brought any harm to your neighbor and have you tried to repair it, as far as you were able? Have you tried to destroy the good work performed by another, or to hinder it seriously? Have you been sensitive, hurt, cool, thoughtless with others? Have you contributed to the support of the Church? I. Have you observed all Sundays and Holydays as commanded by the Church? II. Have you kept the fast? Eaten meat on prohibited days? Encouraged others to violate the precepts of the Church? Scandalized others by your failure to obey the Church in this matter? III. Have you gone to confession at least once a year? Received Holy Communion during Easter Time? IV. Are you a member of any forbidden society? Are you a Communist? V. Have you contributed to the support of the Church, school, pastor? Have you prevented others from fulfilling this obligation? Have you fomented rebellion against proper Church authority? Have you given bad example to your children by refusing to support the Church? Have you tried to teach your children to give their share for the support of the Church? Have you ridiculed those who are doing their share and often times more than their share for the support of the Church? VI. 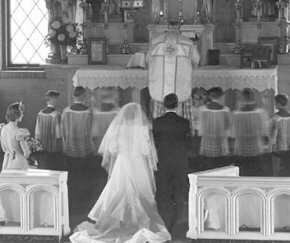 Have you married contrary to the laws of the Catholic Church, or aided others in doing so? Are you keeping such company that may some day prove dangerous for you and lead you to a violation of this precept of the Church? Are you encouraging others to keep such company? Have you disobeyed your parents? Have you caused them to be angry? Have you grieved them? Used insulting language to them? Kept or wasted your wages you should have given them for their support? Incited your brothers and sisters or others against them? Neglected to write them or send them help? Neglected them in sickness and death? Have you grieved or abused your wife; or accused her wrongfully? Have you neglected to provide for your family? Given your children bad example? Failed to correct their faults? Have you interfered with their religious vocation? Have you disobeyed your husband? Caused your children to disobey and dishonor him? Spoken of his faults to your children or neighbors? Neglected to correct your children? Have you given them bad example? Have you instructed them in their religion? Have you interfered with their religious vocation? O my God! I am heartily sorry for having offended Thee; and I detest all my sins, because I dread the loss of heaven and the pains of hell, but most of all because they offend Thee, my God, Who art all good, and deserving of all my love. I firmly resolve, with the help of Thy grace, to confess my sins, to do penance, and to amend my life. Amen. 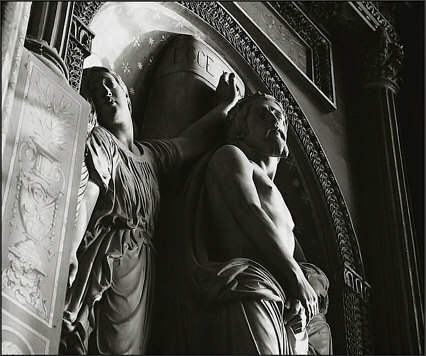 "Rome will lose the faith and become the seat of the Antichrist... The Church will be in eclipse..."
© In Today's Catholic World (TCW) 2005-2015 A.D. All rights reserved. Fair Use Notice: This web site may contain copyrighted material the use of which may not always have been specifically authorized by the copyright owner. We are making such material available in our efforts to advance understanding of political, human, religious, and social issues. We believe this constitutes a 'fair use' of any such copyrighted material as provided for in section 107 of the US Copyright Law.